The 2015 Vintage started with a cool spring that limited crop yields severely…especially in the Sonoma Coast. The lower crop yields produced a fairly intense vintage with riper fruit profiles. Our Pinot Noir fermentations are relatively short…typically lasting form 9-11 days. We don’t have a rule based approach to using whole clusters but most ferments include 10-20% whole clusters. The nose in reminiscent of Chambord with rich raspberry notes. The palate has great depth of fruit and notes of Christmas spices like clove and nutmeg. The wine displays vibrant acidity and has a very clean finish. 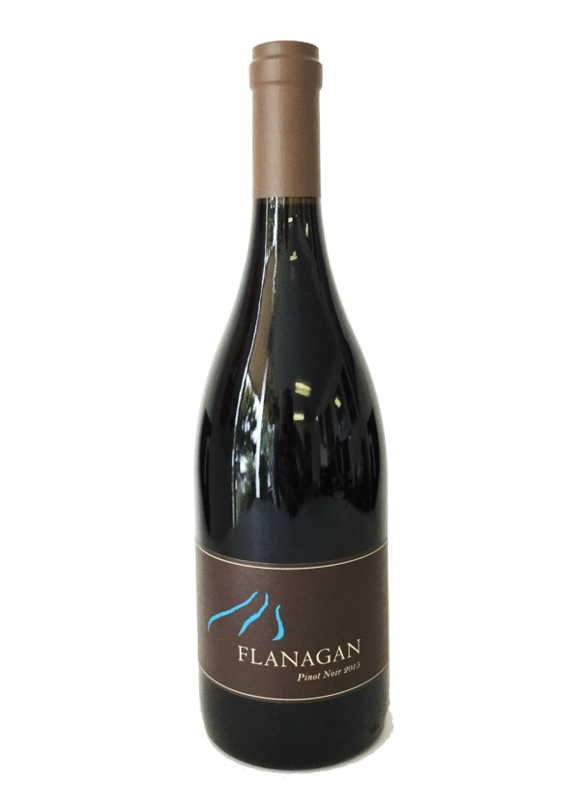 Our Flanagan Pinot Noir Sonoma Coast pairs beautifully with duck, salmon, pork and game; like pheasant, venison, and elk.